It seems as if my memory capacity has hit the roof. My brain cells are dying off. I don’t want to know how exactly how quickly to be honest, so if you know the numbers, please refrain from telling me. The situation is clear enough as it is. For every new book I read, an old one vanishes from my memory; for every journey I make, the details from one in the past will evade until all I remember are what’s been captured in photos, and whenever I see a new movie, I’m condemning one that I saw twenty years ago to eternal oblivion as the last recollections I had from it will slip my mind. I suppose I should think more carefully about what movies I watch these days. Do I really want them to replace the ones I have stored in my head? The original Planet of the Apes is one of those movies I’ve already lost somewhere on the way. I know what it’s about, but I can’t recall a thing about it. Let’s assume that it’s 2031 and that I’m still hooked to movies. 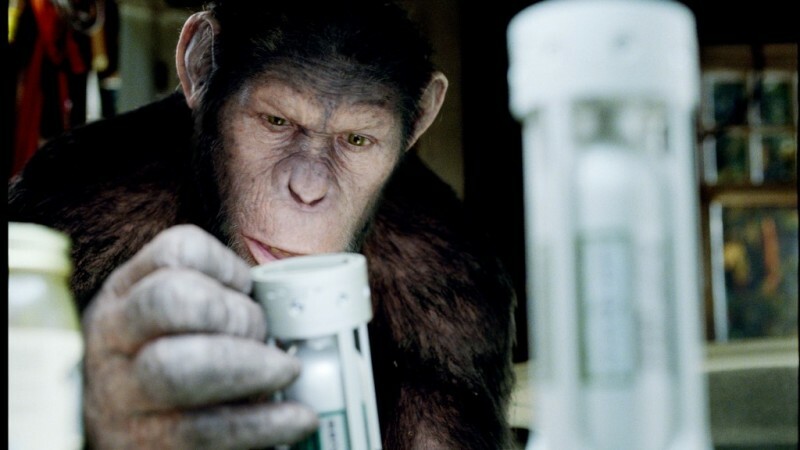 If someone asks me about Rise of the Planet of the Apes, what will I remember of it? The answer will of course be pure speculation, but I think it’s safe to say that this isn’t going to become one of those movies you keep coming back to, an essential watching and a Pillar of Film history. It’s not that kind of a movie. It’s a blockbuster, but a very good one, which I’m happy to see high on the charts of profit generation. It’s the kind of movie you want to see a late Friday night when you’re exhausted after a stressful day at work and can’t be bothered with intricate psychological portraits that can be interpreted on a thousand different levels. And as far as I’m concerned, it’s one of my basic needs, the butter-and-bread of movies. You’re entertained as long as it lasts but it’s won’t change your view on life and it probably won’t be sticky. In 20 years time I’m pretty sure most of this will have been cleared out of my memory, making place for new stuff. I think I will remember two things. One is a line, probably one of the the shortest in film history. It consists of one word: “NO”. The way it was delivered made me so enthusiastic and thrilled that I had to resist an impulse to run to my feet and cheer. If you’re one of those who have trouble saying “no” to requests – watch and learn! The world would be a better place with more noes like that. My second lingering memory will be the central character, the ape Caesar. Everyone else – including James Franco in the leading human role, are pale in comparison: generic and forgettable. Palest of them all is the girlfriend, who not only lacks any purpose apart from being pretty, but also is the ONLY female character in the movie. However I think I’ll save the “did-an-alien-abduct-all-female-actors-or-wtf-is-going-on?” rant for another day, so let’s go back to Caesar. It’s just amazing to see what they can do these days with a character that strictly speaking only exists in the virtual world, a massive amount of 1:s and 0:s. It’s not just that the programmers and artists or mathematicians or whoever create those CGI effects (I have no idea, I’m just guessing) are technically skilled – they’ve also managed to combine it with the depth that only a real flesh-and blood actor can provide. Once again Andy Serkis has put on a special computer connected suit, like he did when he made Gollum come alive. And once again he brings life into this imagined creature. I had no idea what came from the computer programs and what came from Serkis. It’s seamless and very convincing. 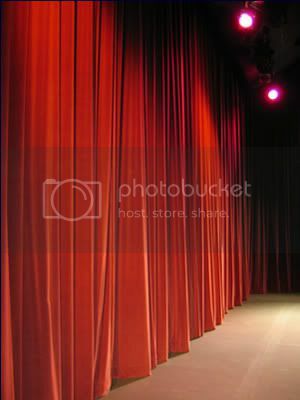 Behold the Rise of the Invisible Actor. I remember watching the various documentaries with the extended DVD box sets of The Lord of the Rings, and watching a comparison between what Serkis did and what actually appeared on screen … and the amazing thing is actually how closely they paralleled. In a way though, I wonder if what Andy Serkis does has more in common with Radio acting (a much neglected medium) than television acting. So perhaps not so much the rise of the invisible actor, as the Renaissance? Oh, I’ve watchted that too. The extras is at least as good as the movies, if not better. 🙂 Best extra material ever, and so much of it! There was no detail too small to give half an hour of discussion. It was fascinating to see indeed. This said I think we also should give some credit to the people on the crafting side. Apparently they add stuff too, it’s not just like they put on the suit on Serkis and BAM the ape is gorgeous. They do small, small additions. It’s a teamwork. Radio acting is the voice though, yes? And there aren’t too many lines here. But yeah, I know what you’re getting at. Maybe we can just as well accept that it’s a new sort of acting, a nieche. I suppose more actors who are good at this will develop over time. Now it seems to be a Serkis-only thing. I think I read some where that Serkis is opening a school to teach others how to act in motion capture films. Maybe there will be a lot more like him in a few more years. That sounds wonderful! Got to prepare for the future! And honestly, he can’t serve the entire movie world with this kind of performances. Oh it is excellent news to hear that Andy Serkis might be helping train more actors like him. I agree Jessica as well this performance is a synthesis of the two. This film will be remembered for Andy Serkis raising the bar for a motion capture performance as Caesar, the “NO” you mentioned, and for being a damn fine film when ‘no one’ expected it to be. For me it was the surprise of the season. Thanks for stopping by my site. I like what you have got going here too. Hey hey hey! Thank you for your return visit and make yourself at home! I felt at home at your place instantly. I think we have some sort of blogger’s connection. Living on the opposite sides of the planet isn’t an issue these days. It’s more about the mindset. That’s really great to hear. Yeah we seem to have very similar tastes, a passion for films and dedication to writing and critiquing. I love your reviewing technique. It makes for very interesting reading. I added you to my blog roll Jessica. I’ll be back! Thank you! See you around! I’ve been meaning to get out and see this movie, but keep putting it off. Keep finding something else to spend my money on. Now I see you liked it and I know I have to see it next week when I have a whole week off of work and not a lot planned. This summer has been pretty bad for new movies so it will be a nice treat. I hope you’ll enjoy it! It’s not by any means the kind of movie that will affect you at a deep level, so don’t expect any of that. But it’s entertaining and well made and I’m glad to see a blockbuster movie with so comparatively much heart and soul. Haha, yes, I agree with the “NO!”. Especially since the character that said it hadn’t spoken a word in the movie before. That made it that more firm.